As I mentioned in the last post, the design ideas in the ‘Missing conversation’ got me thinking about my LV modules. 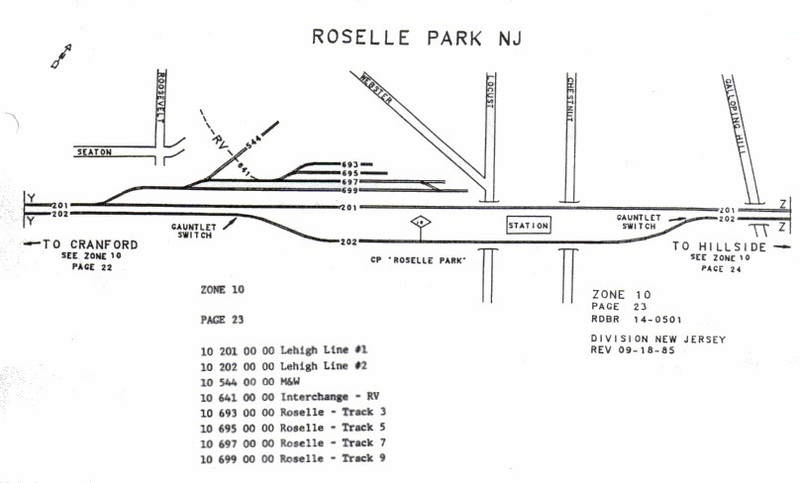 As originally planned, the short line interchange had a loop and two more or less equal length sidings. One would be for interchange of cars between main and short lines and the other would have industries set out along it. But I although I liked this plan, something was not quite right about it visually. I didn’t like the fact that I would have two or three buildings set along the back siding. A bit of thinking and doodling came up with the modified plan below. 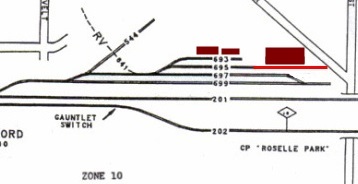 If I got rid of the short spur on the loop (saving a point), the first siding could be lengthened as shown above. The second siding could remain as before. This revision has, I think, two benefits. Firstly, the industries and freight house (sketched in brown above) are now staggered and visually more interesting. Secondly, the long siding will be more interesting to operate. The left hand end will still be for interchange, but the right hand end will serve an industry. To get to this industry, the cars in the interchange will need to be moved. This is common on the prototype, but less so on our model railroads, where we tend to keep our shunting / switching simple. This looks like a good modification to me. Luckily, I have only got as far as laying the left hand end of this board…. This entry was posted in Jon's layout ramblings, Layout design and tagged layout design, model railroad, modular layouts, N gauge. Bookmark the permalink.